These 14K white gold shamrock earrings are tiny studs for adults. 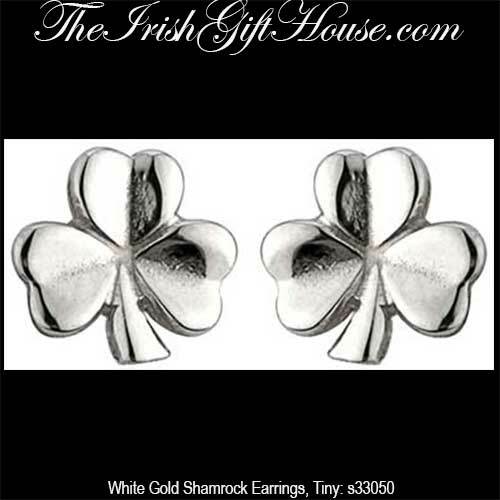 Sorry, these white gold shamrock earrings are now sold out. These tiny shamrock stud earrings measure slightly smaller than 3/8” wide x 3/8" tall. The 14K white gold shamrock earrings are studs on posts with push on butterfly backs and have normal length posts that are suitable for adult ears.